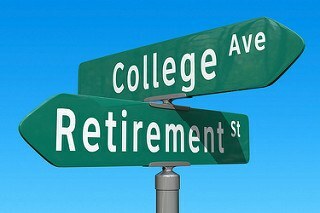 Much of the career, lifestyle and financial emphasis in recent decades has been centered around college and retirement. I refer to these as the “bookends” of life because they frame opposite ends of your adult life – the beginning (college) and the end (retirement). I’d like to suggest that these twin events quite possibly get more attention and resources than they should. That emphasis may help to explain why so many people are struggling in the years between college and retirement. If you spent a bunch of money to pay for your college education, and you’re funneling much of your extra funds into retirement on an ongoing basis, it can make life…unpleasant. Not to mention, denying you much needed resources for other purposes. This can play out in a number of ways. Let’s take the example of a fictitious person. We’ll call him Tyler, only because that’s one of the male names of choice in recent decades. Tyler graduates from high school and goes on to college. His family’s financial resources to dedicate towards his education are limited to $100,000. But since Tyler desperately wants to experience the TV version of college, he decides to live away at an out-of-state school. The total cost will be $200,000. Tyler will cover the difference between that cost and his family’s financial resources by borrowing $100,000 in student loans. Tyler goes off to college and lives the life for four years. But when he gets out, his student loans are waiting for him. At $100,000, the monthly payment on the debt will be $1,000. His first full-time job after graduation pays him $45,000 per year. The company offers a 401(k) plan that provides a 50% match on the first 10% that Tyler contributes to the plan. Thanks to the financial media, and to encouragement by well-meaning adults, Tyler knows how important saving for retirement is, particularly at a very early age. Since his student loan debt limits his disposable income, he decides to contribute 10% to the 401(k) plan, even though he could contribute much more. But he figures that with the company match, the total contribution will actually be 15% of his annual salary. At 10%, $4,500 is going into his 401(k) plan each year. When the $12,000 in annual student loan debt payments are added, $16,500 of Tyler’s income is already spoken for. And he’s only 22 years old. If the 401(k) contributions and student loan debt payments were Tyler’s only ongoing obligations, he would be in good shape. But yes, there are other obligations. For starters, there are payroll taxes. Tyler pays $3,800 in federal income tax, $3,400 for FICA tax, and $1,200 for state income taxes. That means that he is paying another $8,400 for taxes. Then there’s health insurance. Though his company pays a substantial percentage of his health insurance premiums, Tyler still must pay $175 per month, or $2,100 per year. Tyler’s starting salary is $45,000, which is a pretty healthy income for 22-year-old new college graduate. But after the above fixed expenses are deducted, his disposable income is limited to just $18,000 per year. Is that enough money to build a life? Anybody looking at the above situation can naturally determine that the first mistake was borrowing so much money for college. And yet that’s the exact situation that has played out with millions of young people over the last 15 years or so. Smitten with the idea that college is the key to adult life success, they mortgage their futures to get the degree. Now we can say that earning a college degree is the reason why Tyler is earning what looks to be a living wage, at least on the surface. When the cost of that degree is factored into the mix, the return on investment isn’t nearly as encouraging. Like a lot of young people, Tyler wanted to go to college to live the TV college life. But in doing so, he has dug himself a deep financial hole. Now the cheerleaders of college will argue that this is merely Tyler’s situation coming out of the starting gate, that it will lead to still higher earnings in the future. And there is an argument to be made on that side of the equation. Tyler could lose his job in the next recession, and as is the case for a lot of unemployed workers during economic downturns, he could be unemployed on a long-term basis. That can impair his future career progress. Tyler may decide after a few years that he’s not really happy in his chosen career. But even if he leaves that field, his student loan debt will still follow him. It might even limit opportunities to move into other fields. Tyler is in his early 20s, and is already on the treadmill. And while the optimists will argue that he’ll overcome it, that’s not always the case. Bad situations early in life have a way of following you all the way to the grave. It’s called inertia. That last point rates more discussion. Due to the nature of student loan debt, Tyler is facing a very long-term obligation, one that will impair his life for the next 10 or 15 years. This is a point in his life however when there will be other important rites of passage, such as marriage, children, home-ownership, and even career changes. Young and full of promise, this is a young man who feels like he’s already boxed in on all sides. Does that sound familiar? Despite the fact that college theoretically creates opportunities, this is a young person who sees few options. With a disposable income of just $18,000 per year, Tyler will struggle to save an emergency fund, buy a car, and get an apartment. When all of those expenses are added together – along with food, utilities, gas and repairs, car insurance, and pocket money – major compromises in forward progress will have to be made. Retirement has become the Holy Grail in our culture. Financial experts tell us that we should be in a position either to retire in comfort no later than age 65, or even to achieve early retirement as early as 35 or 40. Is that doable, or even desirable? The truth is, few people ever analyze it that far. Planning for retirement is now considered to be the perfect and most necessary financial plan that everyone must have. You should save for retirement, but how much you save will have a major impact on the financial stress that you experience in life. This has to be factored into the mix. Very few people are fortunate enough to have sufficient income to fund all of their needs in life. But if you pour too much onto the retirement side, you could be creating half a lifetime of financial stress – all so that you can enjoy the last few years of your life. There’s no question about the fact that saving and investing for retirement early is just about the closest thing there is to a magic bullet. The money saved has a longer amount of time to compound and grow, and that can make saving for retirement much easier. The problem with that strategy is that it tends to disregard what’s happening in the here and now. A young person coming out of college is typically wrestling with an outsized amount of debt. It’s not just student loan debt either. The young person needs to acquire the typical trappings of adult life, such as a car, an apartment, furniture, clothing, and a computer and cell phone. Too much money being saved for retirement will leave little money left over for any of that. Then there’s also non-retirement savings. At a minimum, everyone needs an emergency fund. As a young person 100% reliant on earned income, an emergency fund is an absolute necessity – much more so than retirement savings. Then there’s also intermediate savings goals, particularly saving up for the down payment on a house or the cost of a wedding. An overemphasis on retirement saving could get in the way of all of that. And if it does, a young person’s progress to adulthood could be impaired. When a person becomes too obsessed with saving for retirement, they can feel trapped. For example, he might stay at a job that he doesn’t particularly like because his primary objective is building up a fat 401(k) plan. He might even feel that he can’t leave the job. Worse, for a young person, he might pass on promising opportunities because upstart companies and business ventures don’t have 401(k) plans. And if he has a good idea for a business, he might not ever act on it out of fear that it might disrupt his retirement plans. Making a provision for retirement is important, but at the same time, you can’t build your life around a retirement plan. I don’t know about you, but I’ve known a fair number of people – particularly men – who didn’t quite make it to retirement. The father of one of my best friends died of a heart attack in his driveway at age 65. A friend of my parents died at age 63. And one of my favorite uncles, a man whom it would be fair to say build his life around the promise of his retirement, died at 63. I would never advocate throwing caution to the wind where retirement planning is concerned. But the bigger reality is that life doesn’t always cooperate with our plans. It’s entirely possible that you could be planning for a golden retirement that you will never see. We don’t ever want to be fatalistic, but that’s the reality of life. As a self-employed person, and having done work for scores of self-employed people during my accounting career, I learned something that’s almost a cosmic reality: self-employed people don’t retire. Retirement is more typical of employees. It’s seen as the ultimate exit strategy, as a chance to leave the rat race once and for all. The self-employed have little need for it, usually because they like what they do. But that’s not just limited to the self-employed. If you lead a dynamic life, that includes doing work that you like, retirement may not be an important driving force in your life. We can look at an example of someone like Warren Buffett. He’s a billionaire, yet he continues to work. It’s probably because he actually likes what he does, and he doesn’t see himself as “finished”. And the man is well into his 80s. I’ve known a lot of people like this over the years, and the lesson learned is that if you create a worthwhile life, retirement is not a major objective. None of this is the say that you shouldn’t plan and save for retirement. But at the same time, we should seriously question the priority that the financial community currently assigns it. Think of it more as making a provision for your old age, when you will want to slow down. If you are thinking of retirement as a blessed exit strategy, then the life that you’re currently living needs some serious analysis. A lot of people hyper-focus on retirement precisely because they don’t like the lives they’re leading now, and believe that retirement will provide them with the fantasy life of their dreams. But be careful – if you’re not happy in your working years, you probably won’t be happy in retirement either. None of this is to suggest that either college or retirement are unnecessary. But at the same time, we have no choice but to accept the reality that life gives us of both limited time and limited financial resources. While you’re paying for the bookends in your life – college and retirement – there are almost certainly other needs in your life that are not being met. But because you are busy paying for yesterday (college) and preparing for the distant future (retirement), you simply don’t have the time and money to take care of many of the requirements of today. That should make finding workable alternatives a priority. The ultimate goal in life shouldn’t be just to get a college education or to retire. If you listen the politicians, they always speak of the personal-finance big three: a college education, buying a house, and retirement. While all three are framed as benefits, the discussion always excludes the investments of time, effort and money in order to acquire them. You can choose to dedicate your entire life to funding those three achievements in your life. That can make abundant sense – if you ignore the fact that all three also represent obligations. The effort and resources dedicated to them cut into living virtually every other aspect of your life. They can impair or completely remove the prospect of you ever creating a rich and fulfilling life. The advocates will insist that college, a house, and a well-funded retirement plan represent a rich and fulfilling life in themselves. But do they really? That’s really the problem – most people accept what the “experts” tell them, and ignore those yearnings inside that tell them that there may be something better out there. A lot of people also lack the confidence in themselves to march to the beat of their own drum. They follow the advice of the experts and the leaders, and tell themselves that that’s where they’ll find happiness. We have to question the wisdom of investing so much time and money in the bookends of life. If you’re taking on a six-figure obligation to get a college degree, and then attempting to amass a retirement fortune of $500,000, $1 million or $5 million, how much gas do you have in your tank to look outside the box for what really might make you happy? There also the non-financial/career factors. With so many people devoting so much time and money to paying for college and retirement, they’re virtually trapped in their careers and jobs. There’s little time left over for family, friendships, community, and faith, let alone making a serious effort at attaining anything that looks like personal happiness. That’s what happens when you become singularly focused on very long-term financial goals. Life becomes a catch 22: you need college to get a good job, so you can save up enough money so that you can retire from that job in comfort. Isn’t that the basic definition of insanity? So again we have to ask the question, how much are you willing to invest in the bookends of life? And what about everything else in between? It’s entirely possible that some people actually do find happiness and fulfillment in having all-encompassing financial objectives, like paying off the debt for a gold-plated education, and then working at becoming what amounts to a millionaire in order to have a comfortable retirement. And I’ll fully admit that as a freethinking, self-employed creative type, that that kind of thinking is completely alien to me. But I also think that it’s alien to a lot of people who are pursuing it, perhaps because they think it’s what they’re supposed to do. But the problem with that thinking is that it commits you to over-compensating for the bookends of life. $200,000 for a college education then $1 million (or so) for retirement requires enormous effort from all but the most successful people. And even then it forces you live your life on a treadmill for at least the first 65 years of your life. Is that a price you’re willing to pay? College.You can get a college education for a lot less than six figures. For example, for about $15,000 you can cover the first two years of your education at a local community college. After that, there are in-state colleges where you can complete your education for maybe $30,000 to $40,000. You can also attend online colleges, which are increasingly becoming the wave of the future. All three options will not only lower tuition costs, but they also eliminate the need for room and board at a remote school. And since you’ll be living at home, it will be easier to find ways to work and earn money to help pay the cost. Then when you come out of the starting gate of adult life, you’ll do so with less debt and more real-world experience. Retirement. Instead of planning for a retirement at a tropical resort, living the lifestyle of the nearly rich, instead plan on a “retirement lite”. 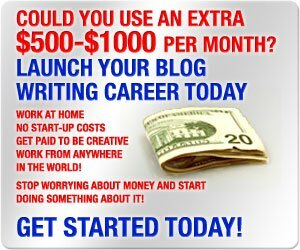 The basic idea will be to simply provide yourself with a healthy income supplement to replace lower wages as a result of downshifting your career. That will enable you to plan out your life from end-to-end, rather than building it around the premise of until retirement, and then…as if you’ll be leading two entirely separate and disjointed lives. Who ever came up with the notion that retirement should represent a full departure from your current life, as if that life is completely unsatisfactory, and maybe even illegitimate? If you think of your life as one consistent whole, could that cause you to put greater emphasis on finding work that better fits with who you really are? We should dare to think about it. And if you do, not only will your life be more balanced and more comfortable, but you may find less need for a hard-landing retirement, and opt for one that better blends with the entirety of your life. If ever there was a time to think outside-the-box, it’s now. The cost of the bookends of life, both in terms of effort and financial cost, has never been greater. But at the same time, the benefits we derive from them are slowly eroding and becoming less certain. So I’m suggesting less emphasis on college and retirement, and more concentration on your life as a whole. Absurd idea? What are your thoughts? One situation I NEVER see the retire at 35 types tackle is health care and long term care. THOSE are two of the major expenses for those over 65. Some of the retire early types are sweet idealists but one blogger, in particular, is so arrogant that I no longer follow his blog. Just wait ’til that fella or his wife get older or have some major medical expense! But young people rarely think about getting older, much less, becoming debilitated. That’s not part of the scenario featured in their thinking. There’s a funny video out there about an aging grey haired hippie singing” Holy s***! I’m getting older!” We Americans don’t value older age; we worship youth and therefore planning for said older age is not much thought about other than thing, perhaps, about a 401K or such. I think one reason people are going on about retirement is that jobs have changed. People no longer have jobs for years and a good pension paid by their employer when they retire. The Social Security fund is on the brink of insolvency. I think the extreme debt of most college educations, along with changing technology, is changing higher education. I think we will see less emphasis on degrees, certificates, testing, etc. going forward and more emphasis on skills and abilities and experience. I have worked at colleges and I have seen some college graduates who could not write or reason as well as I could in elementary school. Open admissions (mostly) in community and state colleges, while giving everybody a chance at college, has lead to a dumbing down of college curricula. Some people would be much be better served in a trade school or apprenticeship or just working. Going forward, we might see only certain professions (medicine, law, engineering,etc.) needing actual college and advanced degrees. Hi Mary – I completely agree on on college degrees. The cost, the watering down and the lack of relevance will prove to be its downfall. Apprenticeships, technical schools, online learning and the school of hard knocks will be the replacements. Actually, we’re already at that point, but the masses are always 10 to 20 years behind the curve. I think the next recession will finally sober everyone up, and they’ll finally realize that the 1990s really aren’t coming back. But getting back to your point about the early retirement industry – all of your observations are on point. But I think early retirement has become something like buying lottery tickets (“the poor man’s dream”), it’s a fantasy exit strategy. While I think that there are certain benefits to preparing for early retirement (to mitigate future career problems), it does gloss over the structural problems. One is the fact that it will take more effort, dedication and sacrifice than most people are willing to invest. Another is that circumstances may not cooperate. For example, a job loss or stock market crash could compromise the dream in a matter of months, or a runaway inflation could end it permanently. And as you say, and as I’ve written in the past, the early retirement gurus ignore major obstacles, like health insurance. That’s probably because they’re preaching from the standpoint well-employed individuals who are enjoying the benefit of a generously employer subsidized health plan, and don’t think of it as a big deal. We should also surmise that most of the gurus are only in their 20s and 30s and think they’ll be young forever (no health issues). Also, I’m absolutely certain that none of them have gone to the health insurance exchanges and priced coverage for a 40, 45, 50 or 55 year old, particularly one with a family in tow. Or maybe they just assume that their plans will work out so well that they’ll be so wealthy that it won’t matter to them. After all, since early retirement will require becoming a millionaire, it’s really just the latest flavor of get rich schemes. It reminds me of a quote from Upton Sinclair – “It is difficult to get a man to understand something, when his salary depends on his not understanding it.” If you’re selling snake oil, you carefully ignore anything that might compromise the message.